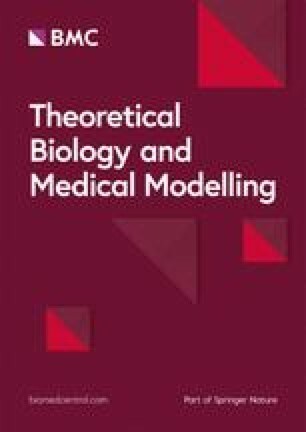 Correction to: Theor Biol Med Model (2017) 14: 5. After publication of the original article , the authors have notified us that the name of one of the software in this paper was inadvertently wrong. Specifically, the name cited for the software used in the published version for flow extraction was “Segment 1.9”, instead it should be “ImageJ”. AVF blood flow velocities were extracted from the gradient echo velocity mapping sequence (as detailed in MRI Imaging Acquisition above) using ImageJ (U.S. NIH, Bethesda, MD) by following similar procedures described previously  at three locations in the vicinity of the fistula: the feeding (proximal, inflow) and draining (distal, outflow) artery, and fistula vein. Pike et al. (2017) High resolution hemodynamic profiling of murine arteriovenous fistula using magnetic resonance imaging and computational fluid dynamics (2017) 14:5 DOI: https://doi.org/10.1186/s12976-017-0053-x.